I was interviewed yesterday on Awakening in Austin. Listen when you get a chance. 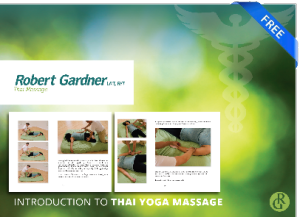 My interview is specifically about Thai massage and my work in Austin, Texas. We cover some basics about yoga and yoga therapy as well. Equanimity is defined as a state of mental or emotional stability or composure arising from a deep awareness and acceptance of the present moment. In the middle of Thai massage, yoga or meditation this can come up from time to time. Personally it arises and goes away as quickly as it comes in. Others can be sometimes confused by my behavior in those moments because things that some consider disturbing, saddening or incendiary just are. I don’t resist or fight them. The most difficult are certainly things in my personal life. Conflicts, fights and things that make me sad are difficult to process and be at peace about. When you want something and can’t have it it’s not easy to sit back and say, “the world is perfect just as it is.” Thich Nhat Hanh is famous for this phrase. He was nominated for the Nobel Peace prize by MLK Jr. and sitting at Thich’s feet trying to absorb this in a book I read led me to a funny space. I wanted to punch him. Here was this Zen Buddhist, engaged Buddhist monk who was saying, “the world is perfect just as it is.” I knew he could see, not just with the first two eyes but his third. This is the message he sent me. I wanted to spar with him and fight. Not only could I not see it but I was so angry that he could even jest with that phrase that I wanted to physically engage with him. A small man who’d dedicated himself to peace was my target. A man who would not side with the north Vietnamese or the south Vietnamese and who was hated by both for it was the guy I wanted to punch. No one ever said developing equanimity is easy. Life will throw you curves. The goal is to ebb and flow as life does. Embracing constant flux with grace and poise is most easily done for me personally in my yoga practice. The longer time goes on I let go. Pain, discomfort, tension and release are all part of the game. What I learn on the mat is taken with me in the midst of turmoil and upset.